The Lorax: A tree falls the way it leans. Be careful which way you lean. 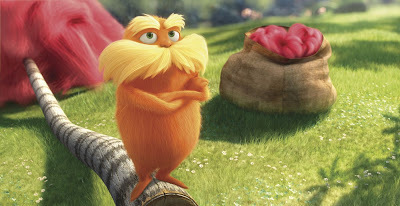 DR. SEUSS’ THE LORAX is perhaps the most blatantly obvious attempt to speak down to people about the perils of industrialization on the environment since AN INCONVENIENT TRUTH. Yes, I understand this is a children’s film, but the original work from 1971 was a brave warning of trouble to come, while director, Chris Renaud’s follow-up to DESPICABLE ME, is just a complete farce, unlikely to inspire any young people to care about the planet. Sadly, I don’t see it encouraging a lot of laughter and enjoyment in kids either. As is unfortunately too often the case, this is another Seuss adaptation that gets the imagination in the imagery right but doesn’t understand the roots of the story. 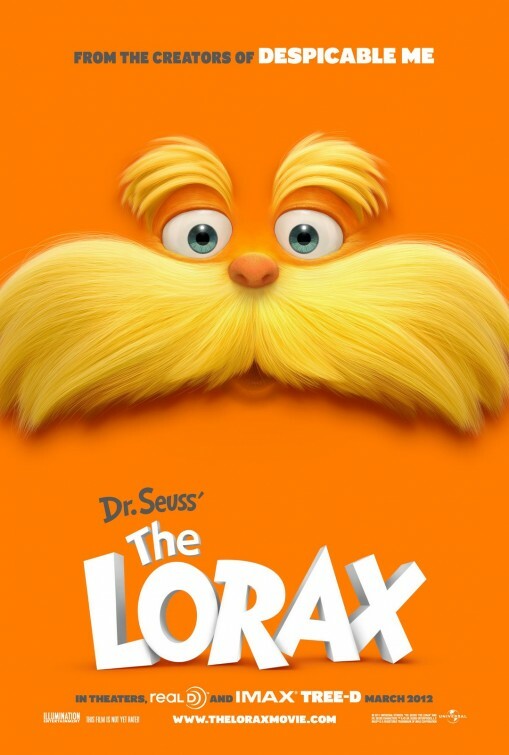 Weak rhymes and unsuccessful modernization aside, THE LORAX is weighty and that is ultimately its undoing. Ted (Zac Efron) tries to impress a girl (Taylor Swift) by finding her a real tree in a world made entirely of plastic. In doing so, he meets The Once-ler (Ed Helms), who proceeds to tell him about how he chopped them all down long ago to pursue his own greedy needs. Let alone that the entire motivation of this story is about a girl and not really about the environment itself, the manner in which The Once-ler’s story’s is told is almost condemning. By the time he sings about how bad could he possibly be for pushing his own agenda at the expense of the planet, towering on screen and painted as this evil, destructive giant, I was done with it. It’s one thing to use media to scare adults into conforming but its a whole other level of wrong to use that same tactic on children. At least, the movie looks pretty. I enjoyed a majority of it, but it lacked the charm and enigmatic narrative of the book. this review makes me so sad. i really wanna watch this movie, as an avid dr. seuss fan. Sounds like it should be sponsored by the Woodland Trust. I might wait until this gets released on LoveFilm and rent it rather than watch it at the cinema. I agree. I felt the songs were awful, really dark and thick with subliminal messaging. If you can call it subliminal at that point. I love Dr. Seuss but I’m tired of the movies ruining his stories. We would have to agree with you on this one. While the animation was spot on for Seuss’ characters, the songs were painful to listen to and the message was tired. Great review! Check out ours when you get the chance.